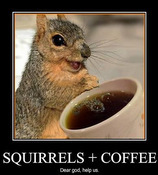 The Energy Sciences Network (ESnet) is the mission network of the U.S. Department of Energy. This high-performance, unclassified network that is managed by Lawrence Berkeley National Laboratory is moving into the newly-constructed Wang Hall on the Berkeley Lab campus. 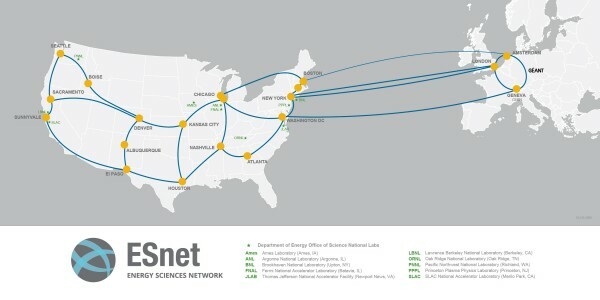 ESnet links 40 DOE sites across the country and scientists at universities and other research institutions via a 100 gigabits-per second backbone network. One of these sites, the National Energy Research Scientific Computing Center (NERSC) has made the move to the Berkeley campus from its previous 15-year home in Oakland, California. ESnet has built a 400 gigabit-per-second (Gbps) super-channel between the Berkeley and Oakland sites to support this transition over the next year. 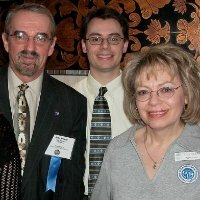 This is the first-ever 400G production link to be deployed by a national research and education network, and will also be part of a research testbed for assessing new tools and technologies that are necessary to support massive data growth as supercomputers approach the exascale era. ESnet carries around 20 petabytes of data monthly. The level of traffic over the ESnet network has increased an average of 10 times every 4 years, propelled by the rising tide of data produced by more powerful supercomputers, global collaborations that can involve thousands of researchers, and specialized facilities like the Large Hadron Collider and digital sky surveys. It's expected that ESnet will need to carry over 100 petabytes of data per month by 2016. ESnet purchased almost 13,000 miles of dark fiber from a commercial carrier for DOE use. By creating a research testbed and lighting the dark fiber with optical gear, ESnet will enable network researchers to safely experiment with disruptive techologies that will make up the next generation Internet in a production-like environment at 100 Gbps speeds.